Plenty of bug fixes, too. AMD today made available a new set of ReLive drivers, version 17.1.2. 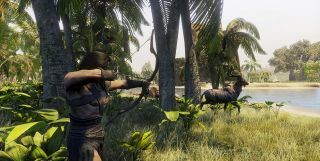 They're primarily aimed at Radeon graphics card owners who plan on playing early builds of Conan Exiles, which hits Steam early access tomorrow, and Ghost Recon Wildlands, which kicks off its closed beta on February 3. There are just as many known issues, some of which are specific to ReLive's features. One of the bigger issues that AMD is working to resolve is that the Xbox DVR application can conflict with ReLive. If you're running into that issue, AMD suggests disabling Xbox DVR for now as it works on a fix. AMD is also aware of an issue where flicking is present on extended ReLive recordings that last for several hours. The new drivers are available to download here.